Hassanzadeh, R., Mahdavi, I., Mahdavi-Amiri, N. (2015). Particle swarm optimization for a bi-objective web-based convergent product networks. Journal of Industrial Engineering and Management Studies, 2(1), 41-60. R. Hassanzadeh; I. Mahdavi; N. Mahdavi-Amiri. "Particle swarm optimization for a bi-objective web-based convergent product networks". 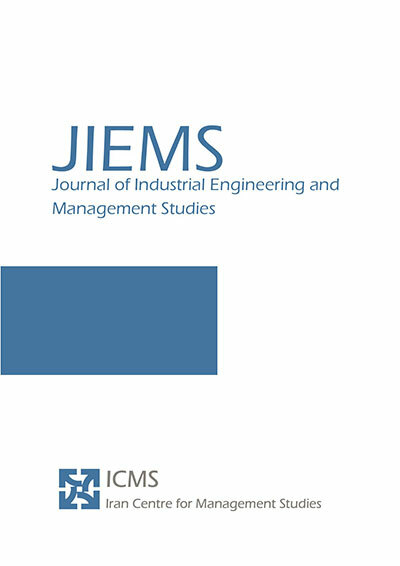 Journal of Industrial Engineering and Management Studies, 2, 1, 2015, 41-60. Hassanzadeh, R., Mahdavi, I., Mahdavi-Amiri, N. (2015). 'Particle swarm optimization for a bi-objective web-based convergent product networks', Journal of Industrial Engineering and Management Studies, 2(1), pp. 41-60. Hassanzadeh, R., Mahdavi, I., Mahdavi-Amiri, N. Particle swarm optimization for a bi-objective web-based convergent product networks. Journal of Industrial Engineering and Management Studies, 2015; 2(1): 41-60. Mazandaran University of Science and Technology, Mazandaran, Iran. Here, a collection of base functions and sub-functions configure the nodes of a web-based (digital)network representing functionalities. Each arc in the network is to be assigned as the link between two nodes. The aim is to find an optimal tree of functionalities in the network adding value to the product in the web environment. First, a purification process is performed in the product network to assign the links among bases and sub-functions. Then, numerical values as benefits and costs are determined for arcs and nodes, respectively. To handle the bi-objective Steiner tree, a particle swarm optimization algorithm is adapted to find the optimal tree determining the value adding sub-functions to bases in a convergent product. An example is worked out to illustrate the applicability of the proposed approach.